Altamonte Springs, Florida (PRWEB) September 25, 2009 - The temples at Angkor Wat in Cambodia have seen many awe-inspiring events in the centuries of their existence. Now these amazing creations have been involved in a powerful seminar for increasing awareness. 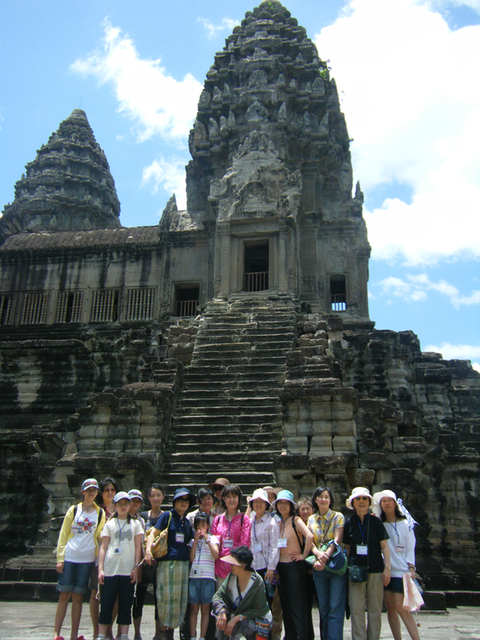 Led by Ilu Kim, trainer for Star's Edge International, sixty-three people deplaned at Angkor near midnight and were quickly wrapped by the hot and humid air of a Cambodian summer. The reviewing students were eager to test their mental Avatar tools on the temple grounds. The new students, awed and excited with the history-rich atmosphere, were ready for adventure. The temples at Angkor, mostly built in the 12th century by king Suryavarman, are arguably one of seven-wonders of the world. The best-preserved temple at Angkor Wat has, over time, served as a king's palace, a state capitol building, a Hindu temple, and today is a Buddhist temple. For anyone who hasn't done the Avatar Course, it should be noted that many of the Avatar exercises are done outside and open new channels of perception with the environment that result in experiences of amazing clarity. Not only do the details of a thing become clear, the subtle imprints left by time unfold as well. The course proceeded very smoothly. Checkouts and debriefs at the hotel, lunches in the shade (when the monsoon rains permitted), and the temple grounds for exercises and private sessions. The summer was very hot, discouragingly hot for most visitors, so the students had the space to themselves. According to Kim, "The beauty of Avatar is that everybody is going through the same inner process of exploration and a reality is shared that leads to mutual care. What might seem like hardships to some people become bonding challenges to the Avatar students." As Harry Palmer, author of the Avatar Materials, said, "There is no power in complaining. The unexpected is the spice of life." By the fourth day of the course, the locals, who passed every morning on bicycles or scooters, were waving and smiling at the Avatar group. Some even stopped to ask questions and take brochures. 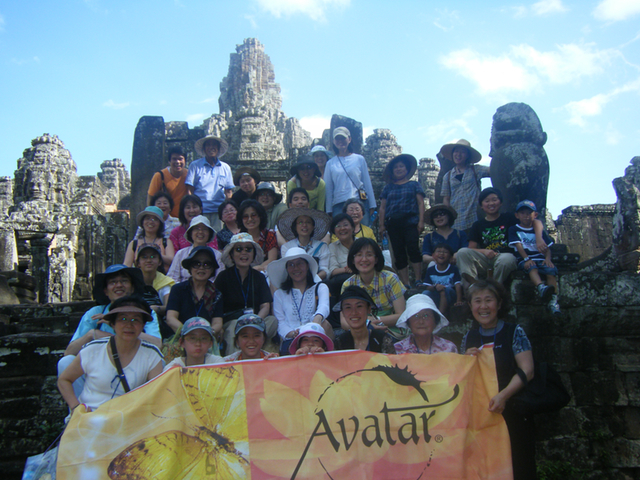 Before the group left Cambodia, they paid a visit to some local Avatar Masters who work there caring for poor children. These kind people were so happy to meet the group and shared how much their Avatar experience had helped them. On the last day all the students finished and everyone went sightseeing. Cambodia is a metaphor for the Avatar experience: it is a mixture of the old and the new, of the awesome and amazing. "We flapped our Avatar wings in consciousness in Angkor," said Kim, "and the effect will be a smiling drop of compassion added to the ocean of consciousness." Developed in 1986, the Avatar Course is delivered in 20 languages and is taught by licensed Avatar Masters in 71 countries. Graduates report reduced stress, increases in personal happiness, and greater success in reaching their goals. For additional information on the Avatar course, contact Harry Palmer or visit http://www.theavatarcourse.com. ABOUT STAR'S EDGE INTERNATIONAL - Star's Edge International publishes books, videos, online materials, and a series of experiential courses that guide people into and through transformative experiences. The company was founded in 1986 and operates worldwide. Avatar® is a registered trademark of Star's Edge, Inc.